You Won’t Know I’m Gone is the sequel to You Don’t Know My Name and the second book in the Black Angel Chronicles. I’m a HUGE fan of spy stories, so I was beyond excited for this addition to the Swoon Reads line. Beware, there are spoilers to the first book below. You Won’t Know I’m Gone begins six months after the end of the first novel. Reagan is about to face a trial for her actions in Colombia (recap: she defied direct orders, brought Luke with her to Colombia, stole the back-up team’s transportation, tried to rescue her kidnapped parents, and witnessed her mother die) and has been living by herself in a safe house since the failed mission. Reagan is a shell of the girl she used to be. She hasn’t trained in months as she has been mourning her mother and feeling guilty and at fault for her death. However, Reagan needs to earn her spot back at the Academy and become an official Black Angel or she will never be able to face her mother’s killer and exact revenge. Reagan has changed due to her mother’s death, and I loved seeing that portrayed in her character. Her sole focus is to get back to the shape she used to be in so she can make it back into the Academy. She works hard and improves greatly, but she’s still actively dealing with her tendencies to be a “rule breaker” and follow her gut before orders. When Luke shows up at training, Reagan is surprised but still not deterred from her end goal. She lashes out at him several times throughout the novel, which I appreciated seeing because she is hurting and everything is not perfect between the two. Even though they cannot be in a dating relationship while training, they still try to maintain their friendship. Luke literally tries so hard and sacrifices so much for Reagan, and it is the sweetest thing. One highlight in the novel is the new minor characters that are added! I really liked how involved Cam and Anusha were in the story, especially since Harper (Reagan’s best friend) is no longer in the picture and wasn’t really around in the first book. This book is way more focused on the spy aspect and we gain more insight about CORE and the Black Angels. Almost a year passes by throughout the novel during all the training. The ending really speeds up with real missions appearing quickly. 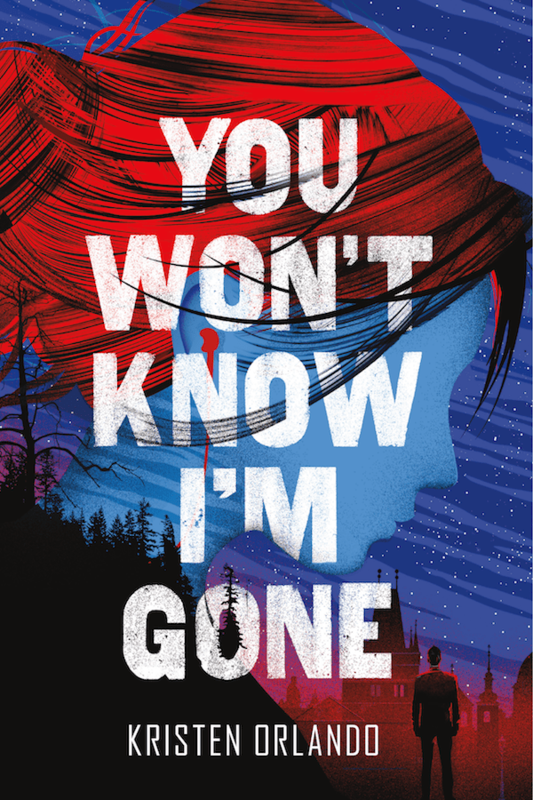 Overall, You Won’t Know I’m Gone is a fantastic follow-up to You Don’t Know My Name. I really hope there is a third book because I have so many questions and look forward to reading more about Reagan’s story. I highly recommend this for fans of Ally Carter’s I’d Tell You I Love You But Then I’d Have to Kill You. Writing is one of the great loves of Kristen Orlando’s life and she has been lucky enough to make it her living, first as a television producer, then as a marketer, and now as a novelist. Kristen graduated with a B.A. in English literature from Kenyon College. She lives in Columbus, Ohio with the other great love of her life, Michael. You Don’t Know My Name is her debut novel. I didn’t realize the sequel was out. Glad you enjoyed it! Yes! It released last Tuesday! If you liked the first one, you definitely need to read the sequel!